We are one of the leading real estate company in Himachal Pradesh and we are mainly provide agricultural property service such as agricultural land services. The Finance Bill, 2013 has proposed to amend the definition of agricultural land. Here is an attempt to analyse the impact of such changes from a capital gains tax perspective. We are instrumental in providing Agriculture Land Dealing Service to our clients. 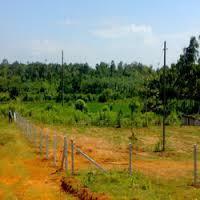 Agriculture Land Nagpal Associates provide the best Farm Land in Haridwar and places lying in proximity to it. The Farm Land that we have recorded in our database for buying and renting purpose, which are located in the best of the localities. We are an agri-based marketing and services company based in East India providing value-added solutions related to agricultural sector. The company has been involved in the marketing of agri-inputs, machinery, and farm technology for over 30 years.